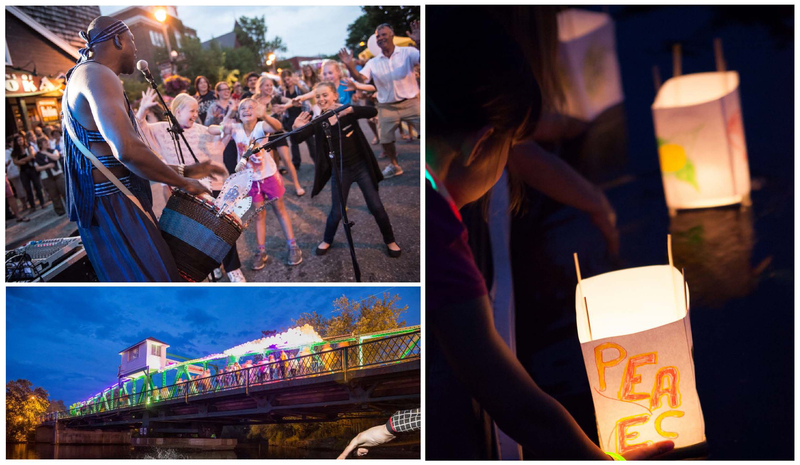 Get ready to light up the night at the 5th Annual Nuit Blanche North on July 11th from 8pm-2am in beautiful downtown Huntsville! With over 7,000 visitors in 2014, this year’s edition promises to be our biggest and best yet! This year’s programming features incredible sites and performances inspired by the theme “Away We Go”. Film, live music and radio broadcast make a nostalgic trip to a Drive In movies of the past and future. Main St. will be filled with brass, wind and beats by roving bands of musical nomads. 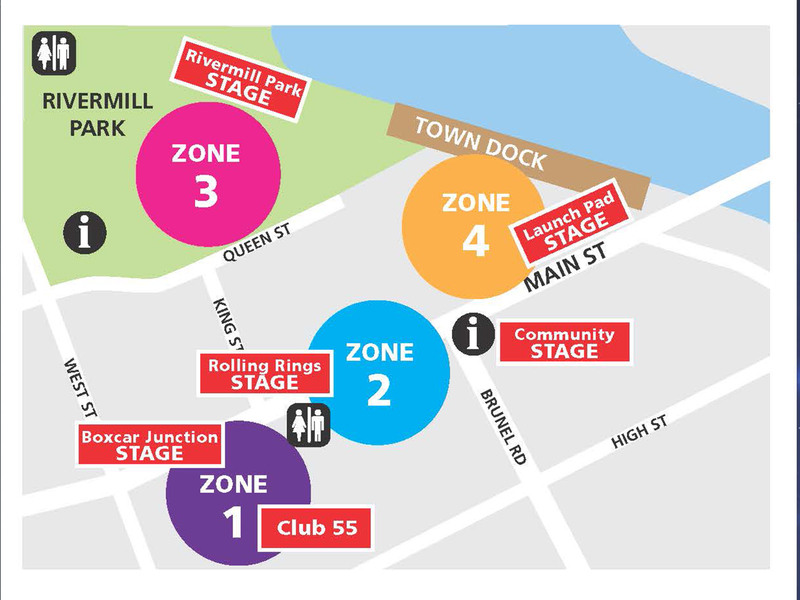 Aerial buskers and Taiko Drum squads will delight and entertain in River Mill Park. And kids of all ages can get their hands dirty interactive experiences using propulsion, sound and light. Stick around for our explosive fire show at 11pm and adults on only midnight cabaret show. Nuit Blanche North survives on government funds, donations and the blood, sweat and tears of so many volunteers, artists and organizers. n honor of our fifth anniversary, we are asking our friends to give birthday presents of $25, $50 or $100. All funds will go directly to paying local artists. If you’ve attended before, or are planning on attending this year, or if you just believe in what we stand for, please consider supporting us.